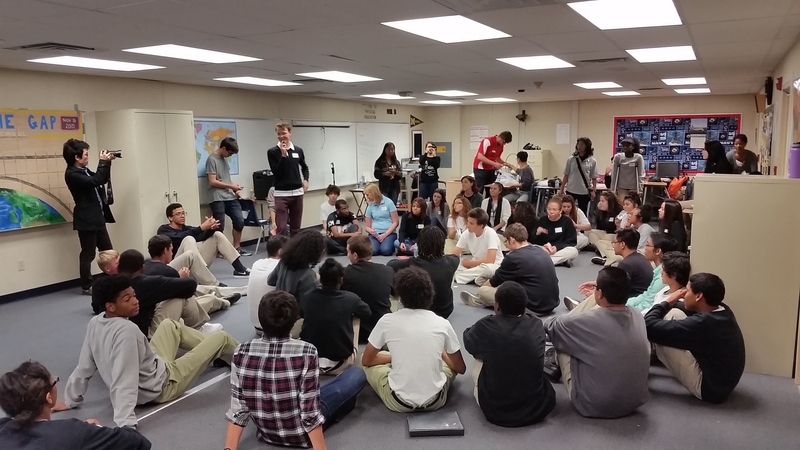 By FFWPU USA: On Friday, November 13, the University of Las Vegas (UNLV) and Collegiate Association for the Research of Principles (CARP)-Las Vegas students hosted an anti-bullying program at the Clark County School District (CCSD) Southwest Behavior School, which is a second chance school for middle school and high school students. The project began when Akira Watanabe, Director of CARP Las Vegas, asked Reiko Suzuki, the principal of the school about organizing a program for students. Since then, CARP has been preparing for the program for the past three months, reaching out to other student organizations. 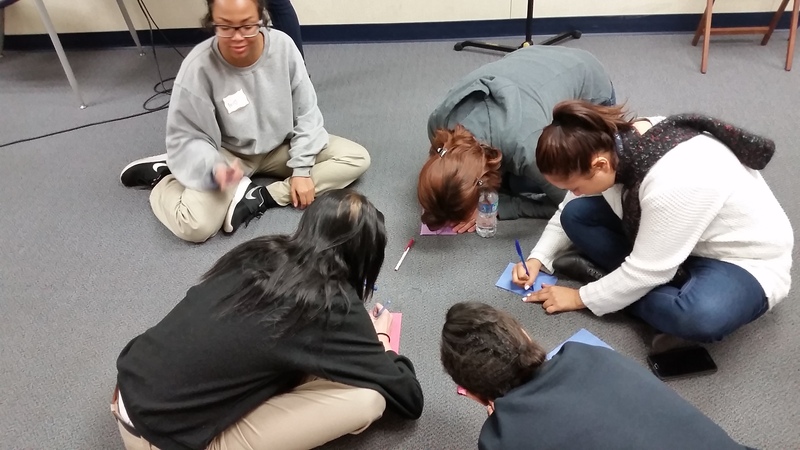 A total on 14 UNLV and CARP students facilitated a two-hour program complete with games, sharing and affirmations for 37 high school students. The CARP students broke the ice with several games where students had to race each other by seeing who was the quickest at tying a bandanna around their neck. After that, everyone was separated into smaller groups of four or five students to share embarrassing stories with one another. “The students had a lot of energy and we were able to get a lot of participation from the group,” Blair, a UNLV student commented. “I was surprised to see so many students participate in the games.” Deandre, a Las Vegas Unificationist community member, began the next section by sharing his personal story from 8th grade when he was assaulted by five other boys because of his belief in the Bible. After hearing that story, everyone shared their own difficult experiences where some students even broke out into tears.